When talking about luxury watches the first country that comes to mind is Switzerland. Germany and Japan might arise in certain cases, but there is one big player in the watch world that is lesser known but quite important, Italy. Considering the obsessive love affair that Italians have with their watches it is not hard to imagine how a few enterprising individuals have created a storied watchmaking tradition there, that is very much alive today. Working at Matt Baily, a luxury watch boutique in the heart of Downtown Montreal (Quebec), Canada, offers a special perspective of the luxury watch industry. In order to avoid competing with nearby, big watch stores, Matt decided to specialize in lesser known, up-and coming brands. Bell & Ross and Glycine for instance were amongst the first watches to be sold at the boutique. Matt Baily was the sole retailer of Bell & Ross in Canada for the first couple of years, until the company’s BR Instruments exploded their popularity. In Italy there are few brands that break into the main stream. 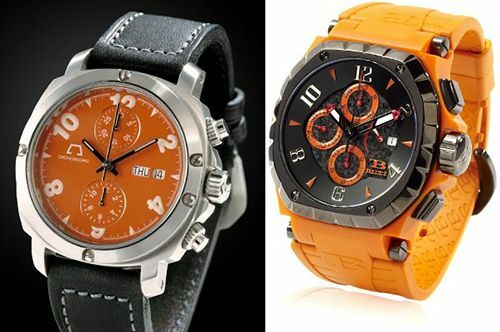 If you eliminate the fashion brands like Gucci and Toy Watch, there is probably not one of the remaining manufacturers of high-grade mechanical watches that can be considered a household name. The closest possible contender would be Officine Panerai, but its operations were moved to Switzerland over a decade ago. This suits Matt Baily’s profile well. The Montreal watch merchant is interested in finding high-quality, innovative, and beautiful timepieces regardless of their popularity. As a sales associate at the boutique, I have dealt with four Italian manufacturers, Anonimo, TB (Tommasso) Buti, Officina Del Tempo, and U-Boat Watches. Over the years, these companies have given me a good perspective of the general philosophy behind watchmaking in Italy. Anonimo is the embodiment of the Italian watch manufacturer. When Panerai was purchased in 1997 by the Vendome Group, now the Richemond Group, all operations were moved to Switzerland. Federico Massacesi purchased the manufacturing facilities and hired the watchmaking team that was left behind in Florence and began Anonimo. His goal with the new company was to preserve the Florentine watchmaking tradition by focusing on quality rather than branding. This explains the choice of name, as Anonimo is the Italian translation for anonymous. Very little indication of the brand name is found upon the company’s creations. Anonimo puts a lot of emphasis on their cases. This reflects the long Florentine tradition of watch case making, which has provided Rolex with their gold Oyster cases and Audemars Piguet with cases for many of their Royal Oak Offshore watches. Anonimo cases are carved out of doughnut shaped chunks of 316L stainless steel in order to retain the maximum structural strength of the metal. Once shaped to precise specifications by the CNC machines, specialized craftspeople take over. All finishing, including sand blasting, is performed by hand. This makes a difference in the resulting products, which blend sandblasted, brushed, and buffed finishes on their well defined, angular shapes. The Florentine watch making tradition is also embraced by U-Boat, based in the town of Lucca. As with Anonimos, U-Boat watches use Swiss mechanical movements and encase them in meticulously constructed Italian cases. Italo Fontana, the company’s founder, has a passion for gauges and professional instruments, which is captured in each of his creations. The intricate shapes, and large sizes are perfect canvases to demonstrate the prowess of Italian craftsmanship. Italian watch manufacturers are known as pioneers of the use of the PVD blackening process on watches. Well before it was moved to Switzerland, Panerai was blackening its creations. As far back as the Sixties, PVD was being tested on prototype models, and starting in 1993 regular Pre-Vendome models were using the process. This idea, which spawned from the idea of military stealth, is carried on into the present by companies such as Anonimo, U-Boat, and TB Buti, which all offer numerous blackened steel or titanium models. If we consider U-Boat and Anonimo representatives of the Italian watchmaking tradition, then TB Buti is the symbol of the Italian collector or enthusiast of fine timepieces. Tommasso Buti himself is a watch collector. He decided to bring together what he loved most of all his watches and founded his own brand. According to the company’s bio, it took about three years to get the proportions of the first Buti watches just right. The resulting collections are luxurious and sophisticated. The details on the Buti creations reveal how watches like the Rolex Daytona and AP Royal Oak Offshore, both watches for which Italian watch collectors have had a large role in popularizing, influence the designer’s style. Vibrantly colored dials, straps, and cases reflect the modern European’s open mindedness regarding what luxury products should look like. There are numerous other Italian watch brands, but these three are the ones that I have had the fortune of working with during my time as a sales associate. They are also good representatives of the Italian watchmaking tradition. This tradition, which is alive today specifically in and around Florence, is characterized by small production, manual craftsmanship, a distinctive flare, and magnificent case manufacturing. Manufacturers of watch accessories, like the infamous Scatola del Tempo winders, also abound, and demonstrate the Italian public’s appreciation for luxury watches. Marco is the webmaster for MattBaily.ca, retailer of watches in Canada.